As Tropo customers face the uncertainty of a communication platform closing its doors with hardly any warning, Ytel presents a viable and competitive solution with long-term value and a trustworthy name, backed by roots in telecom and carrier relationships. Tropo is shutting its doors so for those developers looking for a new option, Ytel can be a valuable, long-term place to call home, and we're in it for the long haul. On October 1st, Cisco customers using Tropo technology received surprising news. The company is shutting down its support of Tropo and their customers’ ability to interact with voice and SMS and engage with end-users across communication channels. Ytel is a leading cloud communications API provider for voice calls and SMS. We make it simple for developers to use the web and API technology they already know to build voice and SMS capabilities within applications, creating new experiences and new revenue opportunities. 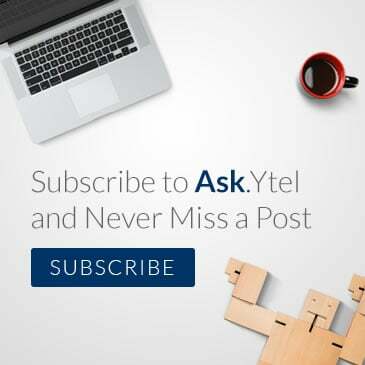 Ytel allows developers and enterprises to continue embedding contextual communications into mobile apps, websites and business workflows via text, social media, chat apps and voice, creating better customer engagement. At the core of our solutions are our communications software APIs, which allow companies to build products and services on top of our cloud-based, out-of-the-box software. Our software APIs include pre-defined functions that are easily customizable for specific use cases without the challenge and expense of building and deploying complex code. It’s a challenging time for Tropo users. There are no Cisco products that provide comparable functionality to Tropo, so they are forced to transition to another vendor immediately, and/or begin development in-house. Ytel can be a valuable, long-term place to call home, and we're in it for the long haul. Ytel provides migration services through our 24/7 account and support team, economical pay-as-you-go pricing, and preferred packages for Tropo customers who give us a chance. Want more information on the Ytel API and explore its capabilities? Check out this post as a resource for using the Ytel API to send calls & SMS, along with a promo code to get started for Tropo customers. If you’re a Cisco/Tropo customer who needs to migrate ASAP and you're interested in Ytel, knock on our door. Our welcome mat is out. Want more info? Click here or the graphic below and we'll get you started!